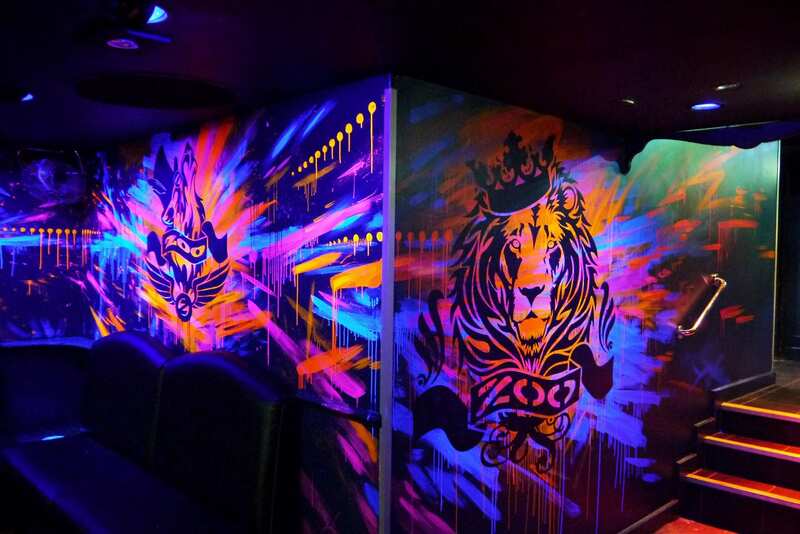 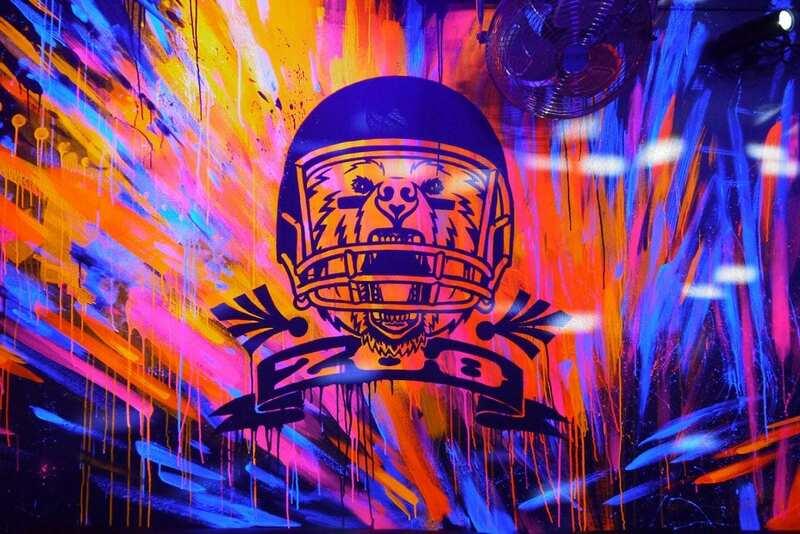 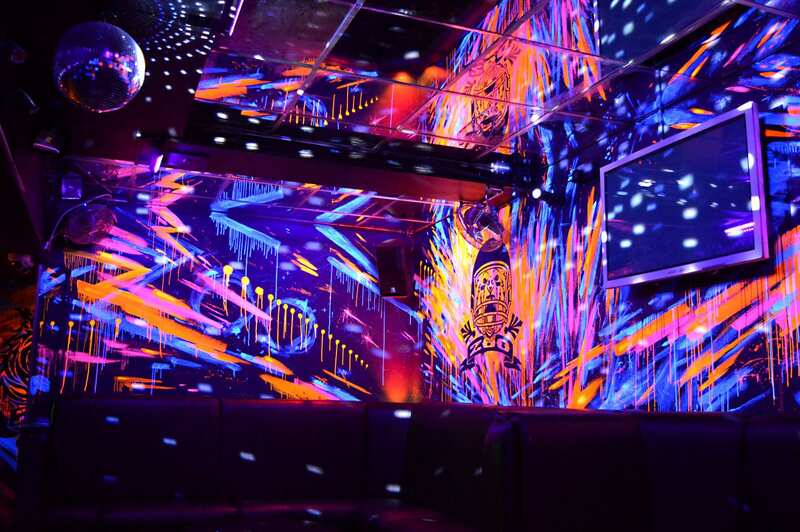 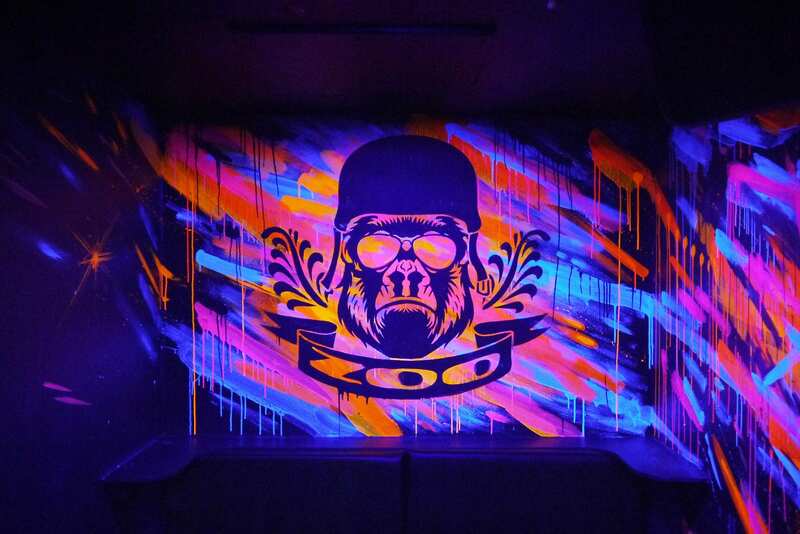 London’s famous Zoo bar & nightclub required a fresh and vibrant look for their newly refurbished VIP room. 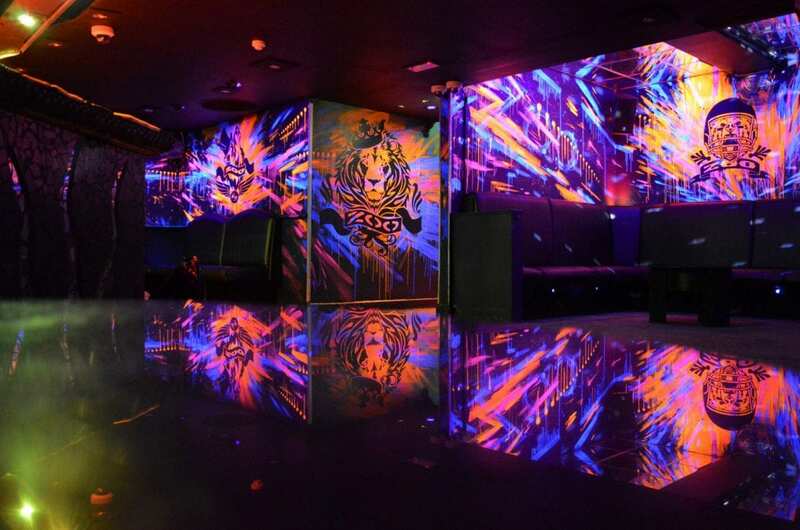 We were commissioned by interior design agency Dakota to help bring their unique vision for the VIP area to life. 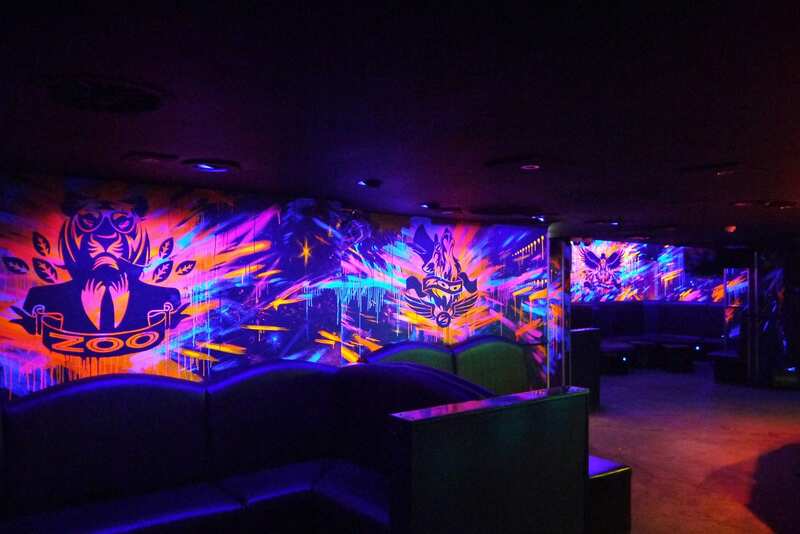 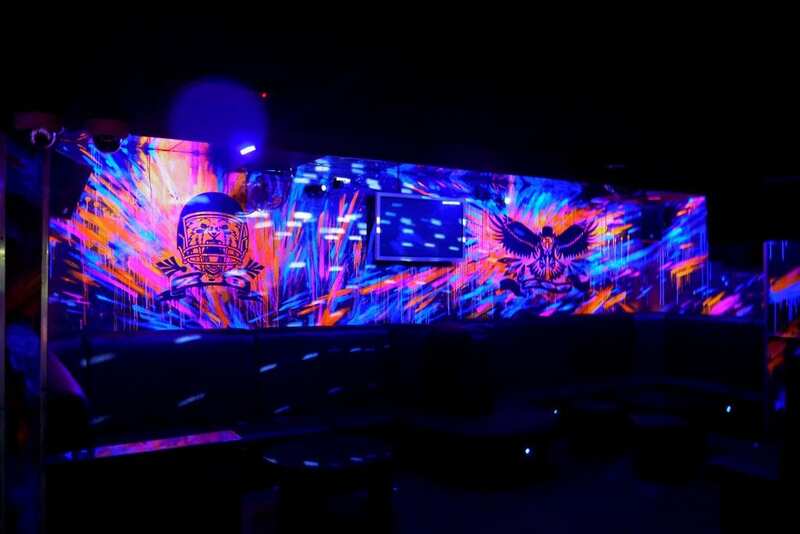 Using specialist UV paints, we painted all the walls with layers of dripping paint effects; building up the overall vibrant dynamic look and creating great stand-out in the dark room. 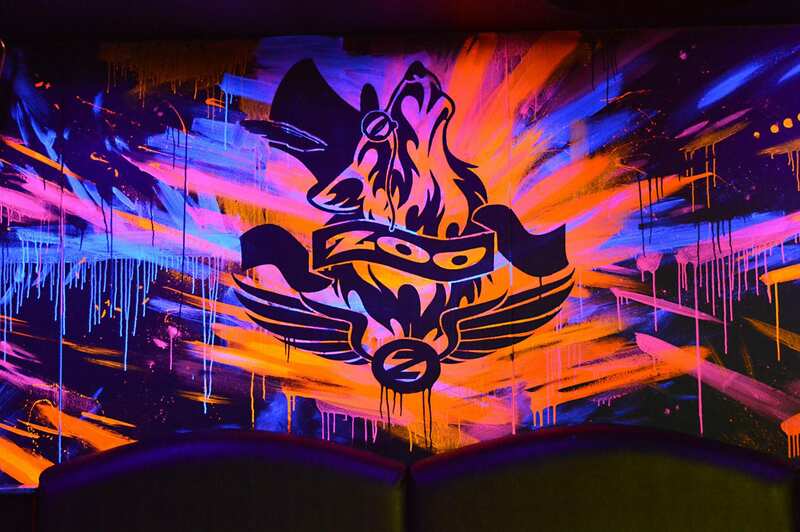 We then added some mean looking Zoo inspired animal characters on top, with Zoo branding woven in.